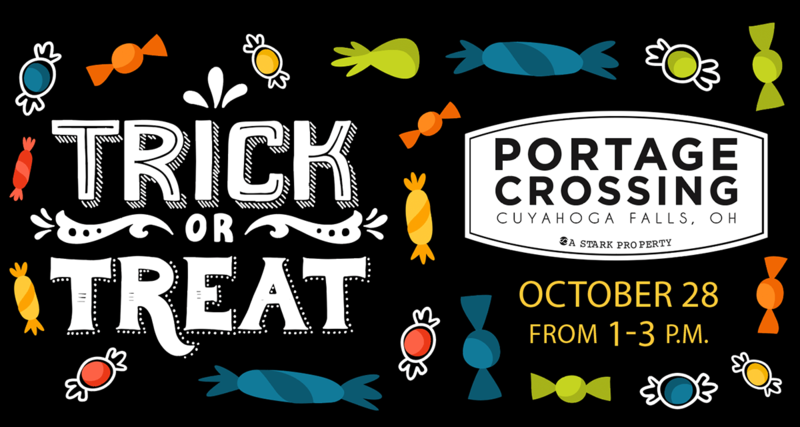 Join us Sunday, October 28th at Portage Crossing from 1pm – 3pm for some early trick-or-treating! Dress up in your favorite costume and load up on some yummy sweets for this Halloween celebration! Please check back soon as we will add a full list of all the participating stores. They will also display a pumpkin sign in the window on the day of the event. Hope to see you all there!